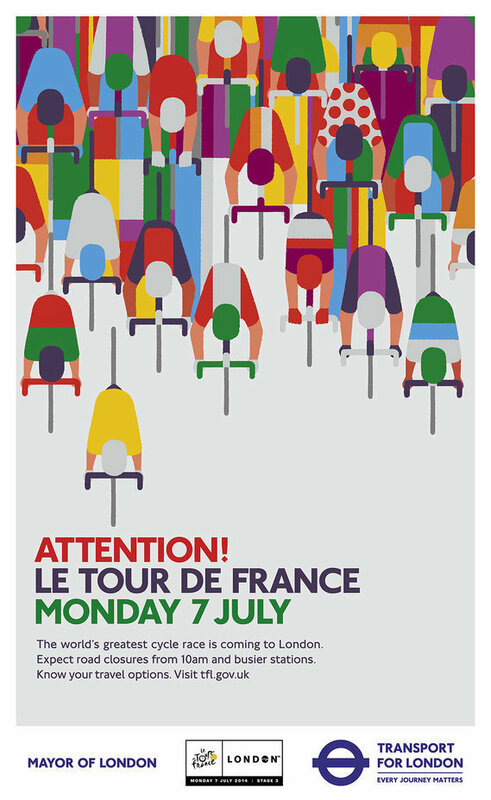 TFL 'Tour De France' Posters by M&C Saatchi - AnotherDesignBlog. 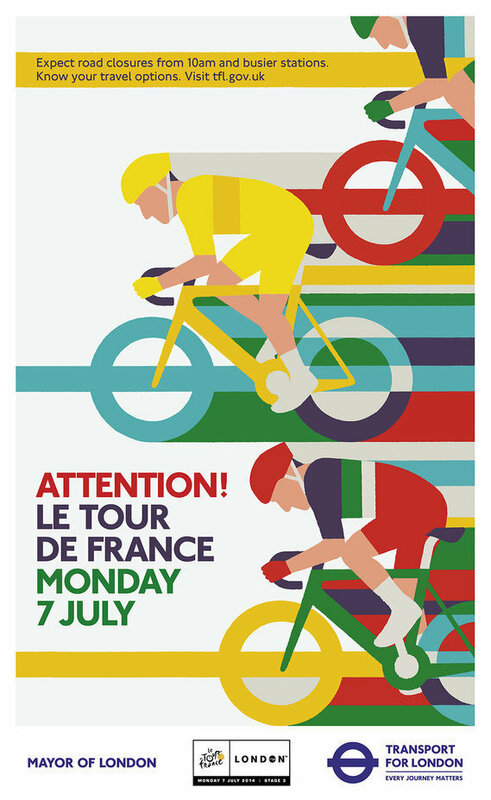 During last week's Tour De France I noticed these simple, clever posters on the tube driving awareness to the expected travel disruption. Beautifully illustrated and modernist inspired, a bold graphic statement shining through the visual clutter one sees on London's transport system. Added to my Transport and Travel Pinterest collection and no mistake.